Creative Visualization can be a powerful tool to get out of a negative headspace: Try sitting in a quiet room, closing your eyes, and listening to the surrounding sounds. Imagine the ideal outcomes to the situation and breathe. Do this for 2-3 minutes and when you open your eyes you have calmed your body and may have a fresh perspective on what is going on around you. Breathing exercises help bring balance back to the nervous system: When you feel overwhelmed, no matter where you are at any point in time, close your eyes and breathe for one minute. Do not do anything else but take deep breaths. This will help relax you and help you to refocus in that very moment. Mindfulness can help reduce stress during a time when you feel overwhelmed: Try to take a deep breath and focus on what is happening in the now. Think of things you are grateful for. Try not to think about the future and what is coming ahead, be in the moment. A great app that can help with this is HeadSpace or Insight Timer. A few of our Bulldog staff use this in the morning or before bed to focus on the moment at hand and not think about what is coming or the future. 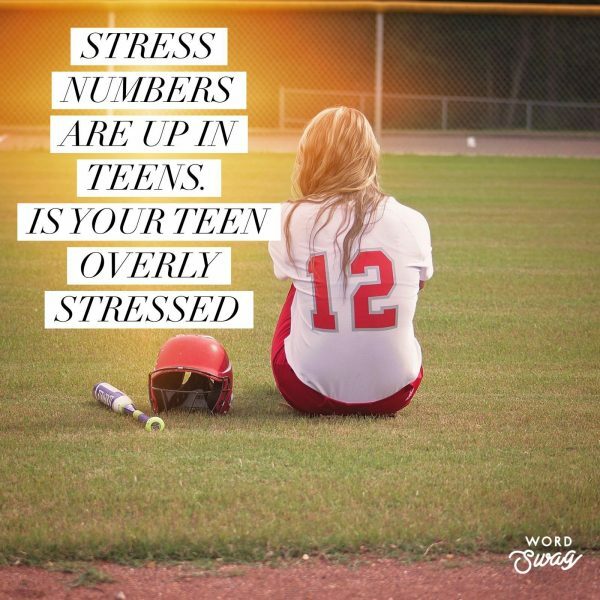 It is important to know that there is no way to eliminate stress completely but, by giving your teen these strategies and techniques, you can help them build upon these strategies as they enter adulthood.